Just noticed it on TNT too. Scares me a bit. I would think this total should be 218-220 but you know I use to be big time in this stuff now I am more casual. what am I missing here? Both red hot teams scoring well. Last time they played was like 137-110 or something crazy. I had a feeling they would have major letdown off that tourney. Extremely unlucky in that overtime. Coyotes pretty ,ugh controlled the whole to and put 2 off the post. 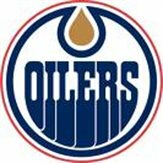 I was a sucker and laid the juice on Edmonton.even though it paid and I won, won't be risking that kind of juice again for a while. Great job max. Been following you for long time. I've noticed that College plays seem to do better than the pros, do you feel that way? really liked his picks. I am not on here much anymore but when I come around I can't seem to find him and I don't even know if you can search on here anymore. I can't figure it out. Idiot like you wins and I lose. What does that make me? Just not a big fan of them blowing anyone out, unless points are scored by the defense. just wondering off the Alabama game if anyone feels that way? I don't know much about Arkansas this year. I know they give lsu trouble in the past.